In a world with popular trends tending towards spirituality, Jewish mysticism seems custom-fit for the times. There has been an increase in interest in the study of the Jewish Kabbalah that has been popularized by celebrities such as Madonna, Roseanne Barr and Demi Moore. You may have seen celebrities on stage or elsewhere wearing a red string on their left wrist as a subtle proclamation of their faith. The Kabbalah is a school of thought traditionally within Judaism that is concerned with the mystical aspects of the religion. It seeks to explain the relationship between an eternal mystical creator and the mortal and finite universe. The Red String Kabbalah is a talisman that finds its origin in the Kabbalah. It is worn to ward off misfortune or what is known as the evil eye. The thin red wool used to make the Red String Kabbalah is worn as a bracelet tied on the left hand wrist. The red string is believed to have been brought from Israel where it is wound in large quantities around the tomb of the matriarch or Judaism, Rachel. Followers of teachings from the Kabbalah are not limited to Jews. There are many people who adhere to the mystical teachings that are non-Jews. Therefore not everyone spotted with a Red String Kabbalah is Jewish. Most notable amongst non-Jewish celebrity followers of the Kabbalah is Madonna. The celebrity practically introduced the Kabbalah to mainstream America. The mystical teachings of this school of thought are included in a childrenï¿½s book she wrote. The discovery of the Kabbalah amongst celebrities has spread news about the teachings like wild fire in the western world. Madonna and other celebrities have taken to wearing the Red String Kabbalah as well as other Kabbalah charms and jewelry. Kabbalah studies consist of intensive courses taught by well known Jewish scholars and offered in various languages at Kabbalah centers throughout America. Madonna has won many of her celebrity friends over to the ancient school of thought. She was accompanied by her friend Demi Moore and husband Ashton Kutcher on her last trip to Israel. Madonna and her whole family can be spotted wearing the Red String Kabbalah at all times. The Red String Kabbalah is not a charm preserved only for Hollywood celebrities. Several sports personalities have been spotted wearing the protective charm on their left wrists. Most notable of these is the English soccer icon, David Beckham. He and his wife, Victoria, have been spotted wearing the Red String Kabbalah and have taken a keen interest in the teachings of the mystical branch of Judaism. The ancient teachings are being widely received for their encouragement of unity and the search for fulfillment away from wealth. Various celebrity icons have embraced these teachings and are involved in serious studies of Kabbalah. 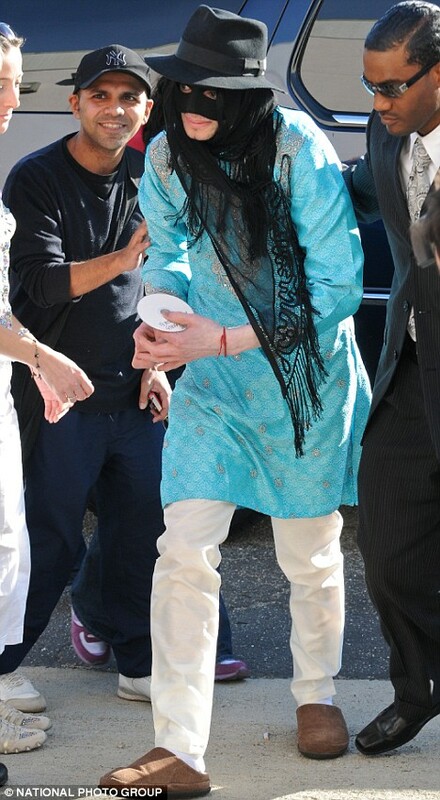 The late Michael Jackson was an ardent follower of Kabbalah teachings. Other celebrities include Charlize Theron, Naomi Campbell, Britney Spears, Elizabeth Taylor, Kylie Minogue, Paulina Rubio, Nicole Ritchie, Lauren Conrad, Alex Moore, David Paterson, Reese Witherspoon and Rosie Oï¿½Donnell.